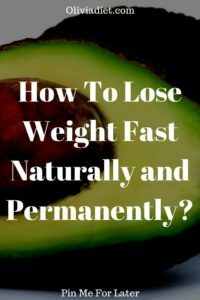 Are you continuously failing in losing your weight? Do you gain your weight back quickly after successfully losing it? Well, this article will show you the exact pro-weight loss tips those Celebrities of a new age are using it in their daily lives. With this sweet and short article, you can lose your weight and can put it off permanently. Your body takes the food as your energy when you are hungry. When You are not hungry than your meal directly contributes to your weight gain. Now, it is upon you to use food as fuel for your body or contribute to unwanted fat. But I will suggest taking that first point of (fuel) very seriously. Drinking water at the right timing helps you shed that fat quickly and completely. Try to limit your calorie intake by drinking water before your every meal. Water will fill you and keeps you away from consuming for calories. Try to replace sugary drinks and soda with a natural drink that is water. By eating 0.6 liters of water after an hour of your meal helps in burning of 25-31% calories. By eating while watching your tv, pc, or tablet screen. You end up in consuming more calories. Because you cannot focus on your calories intake while white walkers gathered around john snow. In your mind think how to rescue john snow in his company you don’t focus on your meal. This step is a little bit difficult but it will amaze you by looking at your new body. You should add water-soluble fiber-containing foods to your diet. Fibers keep you full for a longer time. By this way, fibers keep you away from consuming more unwanted calories. But try to add fibers to your diet gradually because when you eat a lot of fibers at a time can hit you with diarrhea, cramps, bloating. Time and research have proved that Low car diet is very effective in losing your weight. By limiting your carbohydrate intake and increasing your protein intake, Keeps you away from consuming a lot of calories. By Low carb diet, you can accelerate your weight loss by 3x time. Avoid skipping meals for quick weight loss. This mistake of your’s will cause more harm than good. When you skip a meal it makes you super hungry for the next meal and you end up in overeating case. Overeating badly damages your stomach because you overload it at once. Instead of skipping meals you should focus on balance diet throughout the day. Coffee tea contains caffeine. Mixing caffeine with water will increase the frequency of urination. This process will flush out all the water weight and toxins out of your body. This is called a win-win situation. Don’t drink soda. Soda makes you fat and gives you many heart problems and digestive disorders. In-short avoids drinking soda. It makes you fat and never delivers benefits. Yes, it is having short-term benefits which become harm in the future. Do enough workouts daily even Cardio workouts is the best as well. It turns up the fat burning furnaces of your body. You should complete 3000 steps a day to lose your weight and live longer healthier and happier. Fruits are rich in nutrients and contain fewer amounts of calories that are used to give you energy and help you in losing your weight. Moreover, some fruits are rich in fibers that will balance your daily fiber intakes like all berries and grapefruits.